Our new ‘South West’ Region is open for business! We are thrilled to welcome our brand new ‘South West’ Franchisee, Alice Tomkinson, into the fold as of the 1st November 2018! Alice is a trained actor, facilitator, and early year’s practitioner who grew up in Devon, and came to London to train at Rose Bruford Drama School in 2014. It was here that she developed her love of facilitating by developing an Early Years Youth Theatre. Luckily for us, in 2018 Alice relocated back to Devon, in the hope to enrich South West school’s with creative arts workshops. 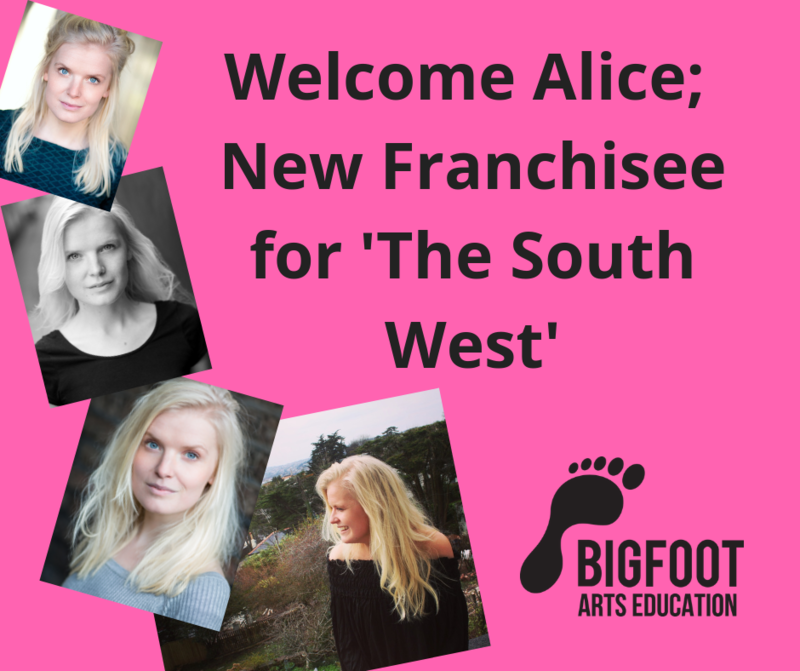 Alice is now thrilled to be part of the Bigfoot family, and can’t wait to start using the creative arts to help impact the children and young people across the South West. We can’t wait to start working with you Alice; there is a wealth of training opportunities and exciting new creative avenues to explore within the South West we know, and we look forward to helping you along the way!